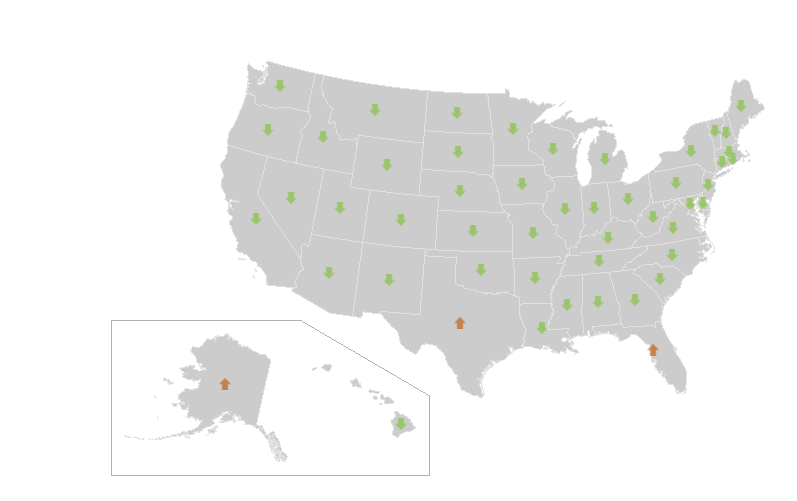 CoreLogic today released its latest Loan Performance Insights Report, which showed that mortgages in some stage of delinquency (meaning the borrower has failed to make payments) dropped 0.1 percent year-over-year to 5.1 percent in November 2017, while delinquency rates in states impacted by hurricane season are still much higher than the national average. 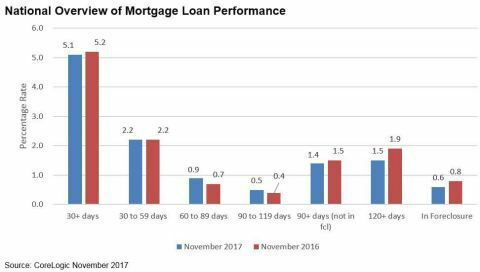 Early-stage delinquencies (30-59 days past due) also fell 0.1 percentage points from October, and the share of mortgages 60-89 days past due remained unchanged month-over-month (0.9 percent) and increased 0.7 percent year-over-year. Lastly, serious delinquencies (90-plus days past due) increased 0.1 percent month-over-month to 2.0, but remained lower than November 2016 (2.3 percent). CoreLogic chief economist Dr. Frank Nothaft says the dip in early-stage delinquencies is a signal that the impact of Hurricanes Harvey, Irma and Maria on overall loan performance insights is starting to fade. But states directly impacted by the hurricanes — including Florida and Texas — in addition to Puerto Rico, are still struggling with higher serious delinquency rates. 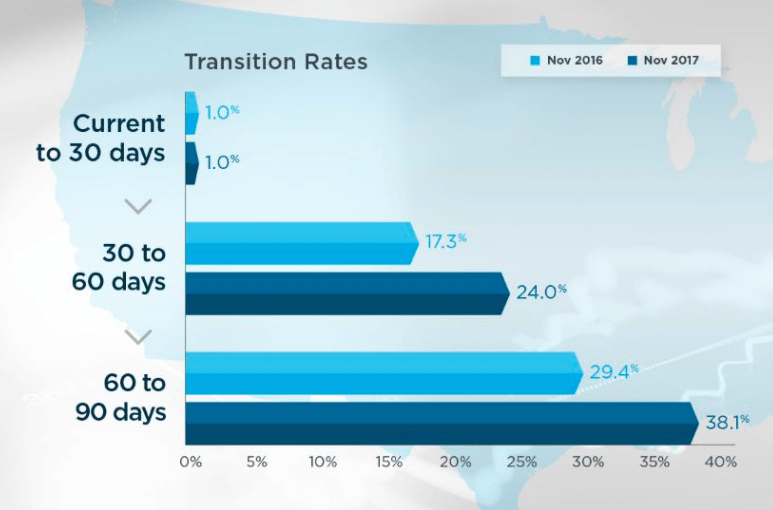 Furthermore, transition rates for mortgages that went from current to 30 days past due dipped 0.1 percentage points to 1.0 percent in November, while 60-day and 90-day transition rates increased 8.7 percent year-over-year. Finally, the mortgage foreclosure rate, which measures the share of mortgages in some stage of the foreclosure process, also declined 0.2 percent year-over-year to 0.6 percent — unchanged for four months straight and the lowest level since June 2007 (0.6 percent).